Get Connected. There's no better way to know what's happening in your school. Discover Great Resources. The PTA offers a variety of programs designed for parents as well as students. Watch yourself Grow. By volunteering with your PTA, you gain valuable experiences and personal confidence. It's an opportunity to put your skills and hobbies to good use for a good cause. Speak Up. Because PTA is a forum for exchanging ideas, you are encouraged to make suggestions and more effectively suggest change at your child's school. Help Your Child Succeed. PTA fosters parent involvement. Parent involvement has been proven by three decades of research to be the greatest predictor of student success. Witness Improvement. By getting involved at your child's school you'll be part of the solution, helping to make positive changes. Local PTA's play an important role in fundraising to provide building improvements, curriculum-based programs, social events - all vital to a school's success. Be a Role Model. By becoming a PTA member, you'll be demonstrating to your child the importance you place on education. Need to Contact Someone on PTA? Students should ask parents, relatives, etc. to sign up for PTA so SV can enjoy the rewards! 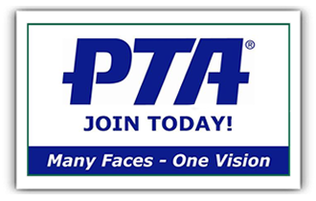 PTA membership pays for all the field trips and assemblies, etc. Sign up online at our PTA web store or by completing the PTA FORM (print below). Special offers and discounts to California PTA Members from companies including: T-Mobile, McDonald's, Enterprise, Legoland, HP, OfficeMax, Jamba Juice, Verizon Thinkfinity and Child Safety Network.